Goeido a écarté définitivement Harumafuji de la course au yûshô. 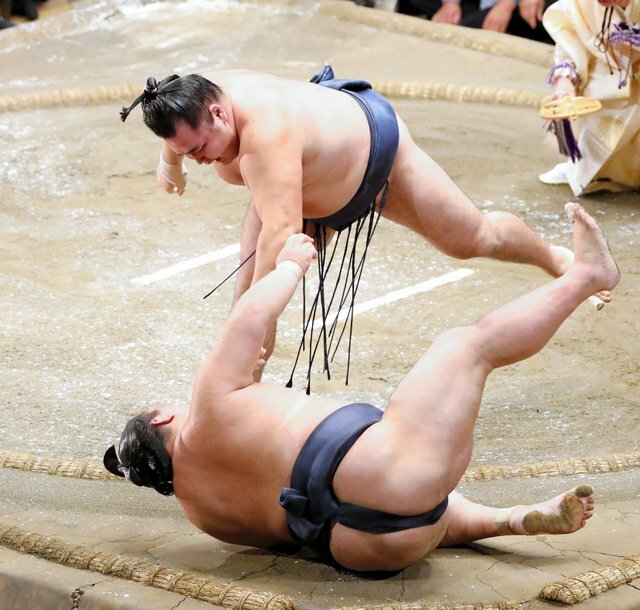 L’ôzeki Goeido a déjà une main posée sur la Coupe de l’Empereur après sa victoire sur le yokozuna Harumafuji. Le leader de la division makuuchi conserve un score sans faute à deux jours de la finale. Goeido pourra déjà remporter le championnat demain s’il bat le maegashira 6 Tamawashi. Seul Endo, qui est à 11-2, peut encore faire de lui faire de l’ombre. Endo affrontera demain le sekiwake Takayasu et s’il remporte le match, il conservera une chance mathématique de rattraper Goeido. 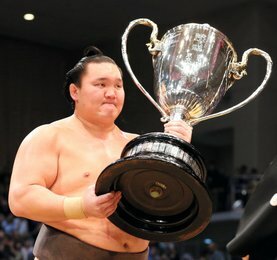 Harumafuji et Takayasu ont abandonné tout espoirs de gagner le tournoi après leur troisième défaite. Takayasu, pour qui l’éventualité de devenir ôzeki n’est plus si loin, a été vaincu par Mitakeumi. 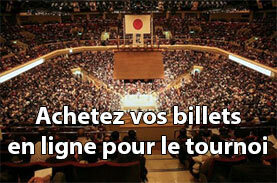 La foule était en ébullition dans le Kokugikan pour le combat final. Goeido et Harumafuji se sont livrés à un long face à face avant le combat. 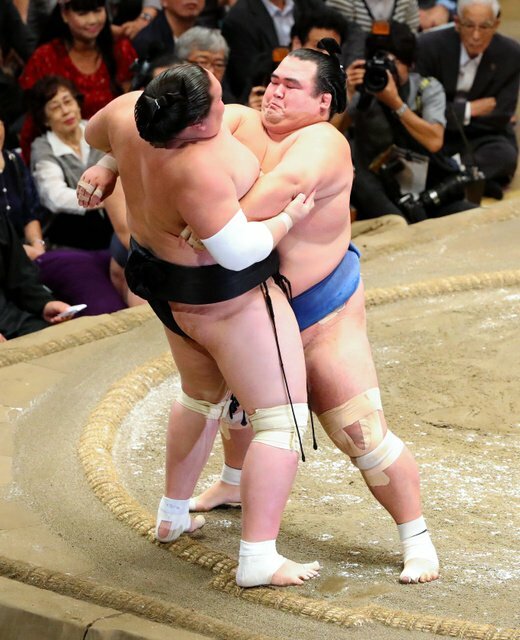 Harumafuji devait gagner aujourd’hui pour conserver une chance de s’emparer de son second titre consécutif. Le mongol s’est élancé au tachiai sur Goeido qui l’a conduit vers les ballots de paille. 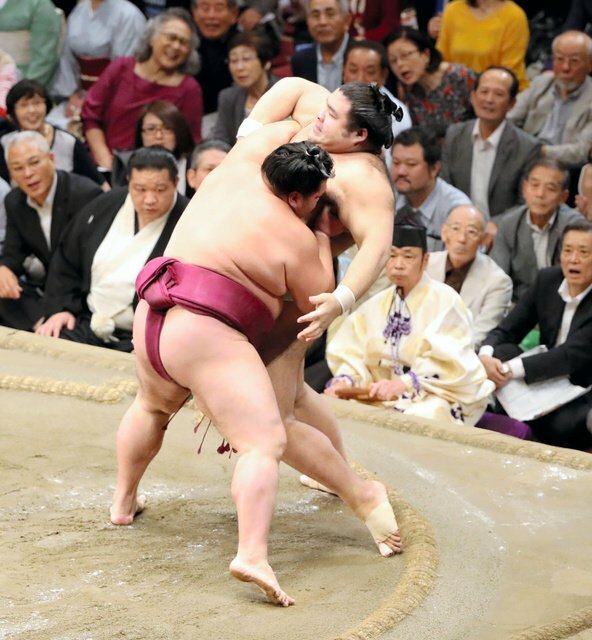 Goeido s’est retrouvé avec les deux mains du yokozuna sur son mawashi qui tentait de sceller la victoire dans une poussée finale. C’est à ce moment que Goeido a saisi Harumafuji par le cou et l’a projeté à terre anéantissant les espoirs du yokozuna. « J’étais désespéré« , a déclaré Goeido. « Je dois encore gagner de nouveau mon combat demain« . 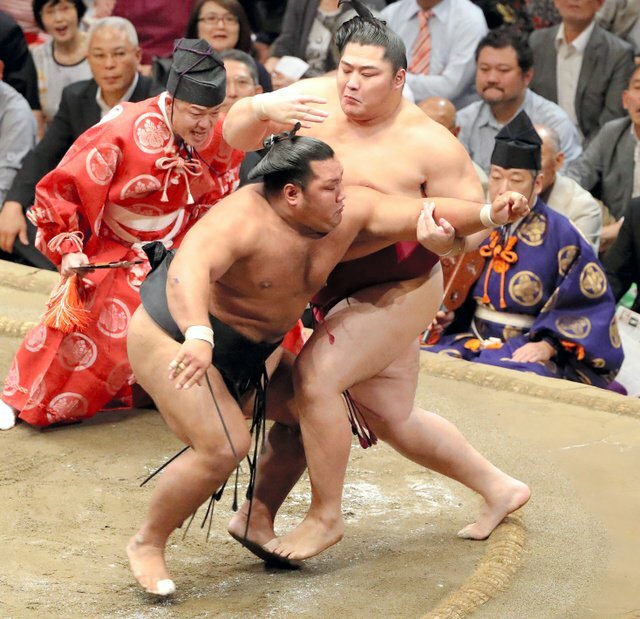 Kakuryu a battu l’ôzeki Kisenosato qui perd encore une occasion d’être promu yokozuna cette année. 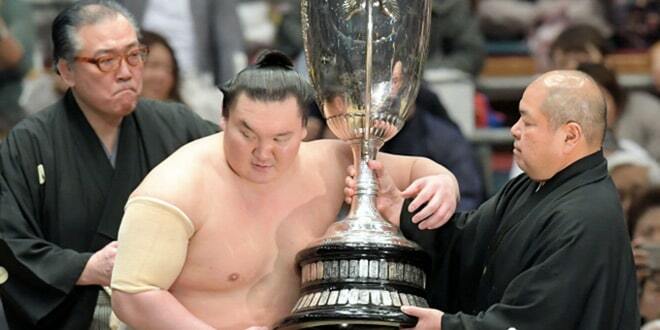 Ozeki Goeido put one hand on his first Emperor’s Cup after defeating yokozuna Harumafuji to maintain his perfect record with two days remaining at the Autumn Grand Sumo Tournament on Friday. Goeido (13-0) can win the championship Saturday if he beats sixth-ranked maegashira Tamawashi (9-4). Only No. 14 Endo at 11-2, who faces sekiwake Takayasu on Saturday, has a mathematical chance of beating Goeido to the title. 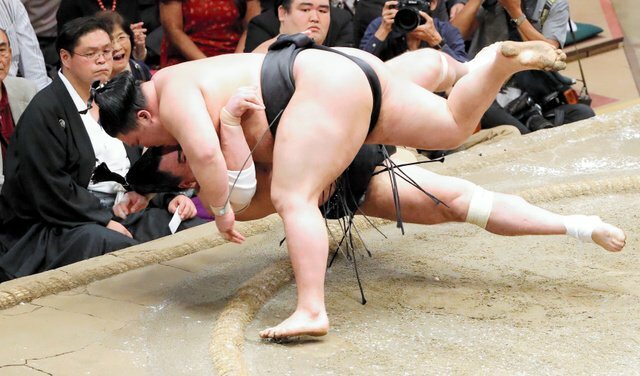 Both Harumafuji and Takayasu dropped out of the race Friday after suffering their third losses of the meet. 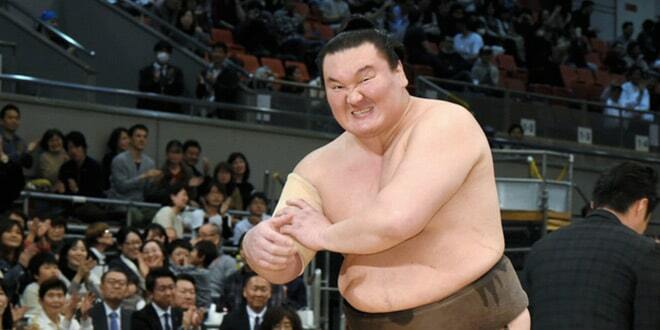 Takayasu was defeated by fifth-ranked Mitakeumi (9-4). 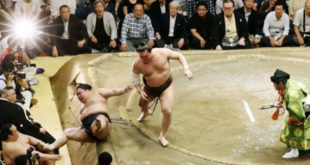 The crowd rocked at Ryogoku Kokugikan for the day’s final bout between Goeido and Harumafuji, who had owned the matchup against the ozeki with a 29-9 lifetime record and tried to stare down his opponent ahead of the start. 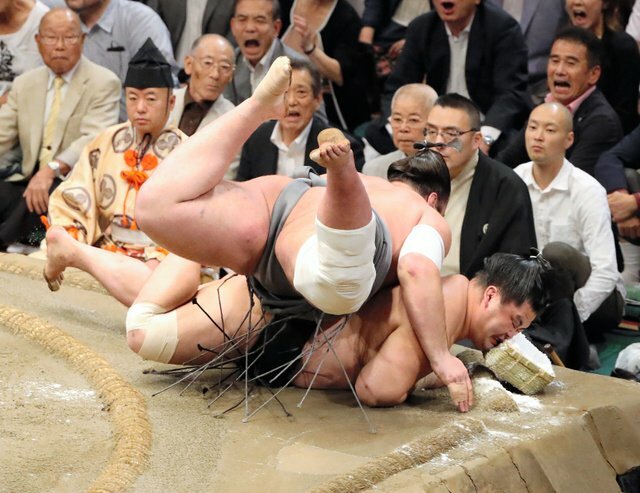 Harumafuji had to win Friday to retain any shot at capturing his second straight tournament, and the Mongolian grand champion came roaring out of the tachiai, backing Goeido onto the straw bales in a heartbeat. But Goeido stayed with Harumafuji, who dove for the belt with both hands as he tried to seal victory with one final push. That’s when Goeido grabbed the yokozuna by the neck and wheeled him onto his back all in one motion, dashing Harumafuji’s title hopes. Endo kept the champagne on ice for Goeido with a nervy tottari win over No. 7 Shohozan (7-6). 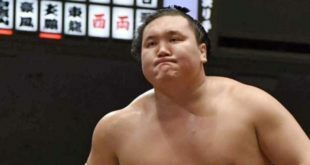 Ozeki Kisenosato fell at the hands of yokozuna Kakuryu (9-4), seeing his record slip to 9-4 — and all but ending any opportunity at yokozuna promotion during the year’s last meet in November.